[SatNews] Newtec and MEASAT Satellite Systems Sdn. Bhd. 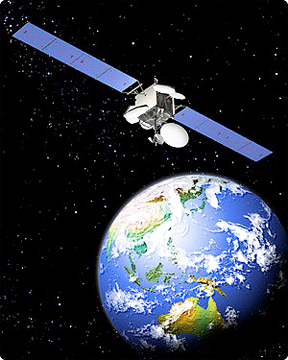 (“MEASAT”) are to deliver a world premier at the CommunicAsia show (June 17 to 20, 2014) with satellite transmission of 4K UHDTV video distributed using the new DVB-S2X transmission standard. The extensions to the DVB-S2 standard, a new specification developed by DVB including Newtec called DVB-S2X, will be instrumental for the satellite industry to keep pace with demands for new features and increased efficiency. Published in February of 2014, DVB-S2X reaches efficiency gains over DVB-S2 of up to 51 percent for professional applications and up to 20 percent for DTH. This new standard is much needed as the growing consumption of video and data continues to squeeze bandwidth. The demonstration will be displayed in 4K UHDTV at CommunicAsia in Singapore at MEASAT’s booth (Level 1 T3-01). The feed will be uplinked via MEASAT’s teleport in Cyberjaya, Kuala Lumpur, and delivered live via MEASAT-3 satellite in C-band, using Newtec’s new DVB-S2X modulation equipment. The new standard implemented on Newtec’s product range, or as a software upgrade to existing products, brings multiple new capabilities on top of DVB-S2. These include lower Roll-Offs (RO), increased granularity in MODCOD choices, higher efficient modulation optimized for use in linear and non-linear operations, and a standard mechanism to bond carriers together, creating one big transmission pipe for multiple 4K programs over existing transponders. “This demonstrates not only that satellite networks are ready for 4K UHDTV, but also that DVB-S2X is ready to help satellite operators and broadcasters cut costs or deliver more content within the same capacity. It is no longer a question of whether the new DVB-S2X standard will be used in broadcast contribution and distribution networks, but rather a question of when,” said Steven Soenens, VP Product and Market Management at Newtec. Newtec's M6100 Broadcast Satellite Modulator. Newtec’s M6100 Broadcast Satellite Modulators will be used for the demonstration as well as Newtec’s demodulators. 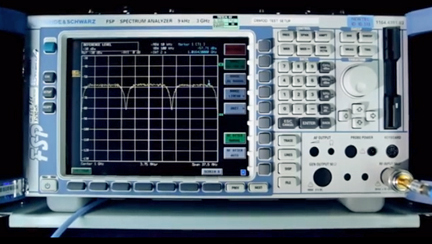 Video processing capabilities at both ends of the link were provided by Ericsson through its AVP 2000 Contribution Encoders and RX8200 Advanced Modular Receivers. Steven Soenens will also speak about the new standard at a presentation, titled “Satcom Industry in Transition! DVB-S2X Released and in Action. How to Migrate?” on Wednesday, June 18 at 2.35 p.m. as part of the BroadcastAsia 2014 event.